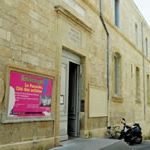 Llhuros Returns to Europe- Forty or more years after its last installation in Europe, artifacts from Llhuros were on display as part of the PLURIVERS show at La Panacée - Le Centre d’art contemporain in Montpellier, France. 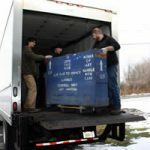 Artifacts Moved to Art Storage Facility- Nearly a dozen large crates of Llhurocian artifacts have been moved to a climate-controlled art storage facility. 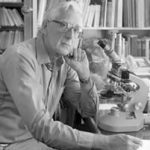 The Passing of Two Llhuros Scholars- Professor Nils Schilaneder, paleographer and director of the Swedish Institute of Archaeological Science and Research in Stockholm and paleographer Phillip Ewing-Kershaw of Great Britain have passed away. 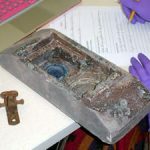 Students Ponder Llhurocian Artifacts- Cornell students will once again be confronted with truly unfamiliar objects.